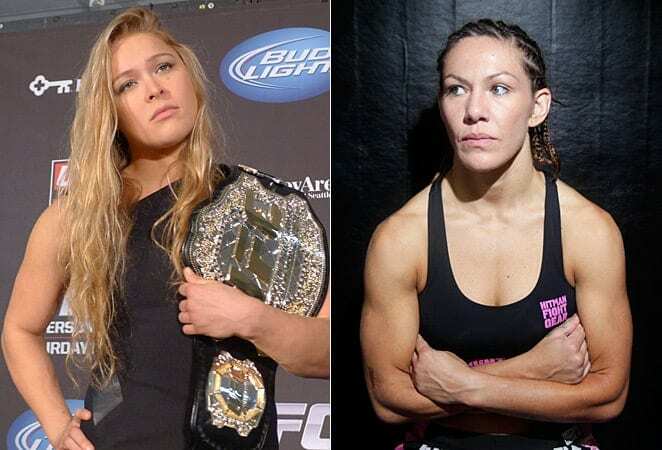 Ronda Rousey gets trolled by Cris Cyborg on Twitter. For years now, Cyborg has tried to get a fight booked with her inside of the Octagon, but it never happened. Many people believed this possibility was done once Rousey retired from the sport. However, Cyborg has expressed interest in a potential match under the WWE banner. Rousey signed with the WWE in January 2018 where she made her promotional debut at the Royal Rumble pay-per-view event. She would then enter into a feud with Stephanie McMahon, and Triple H. This would later lead to a match where she would team up with Kurt Angle to take on the WWE power couple at WrestleMania 34 in April 2018. Rousey has put distance between herself and MMA as now she’s in the sports entertainment business. Rousey has been out of the fight game for two years after suffering devastating losses in her last two bouts under the UFC banner. Up until those losses, she was a wrecking machine as she ran through the top contenders in the division at the time. However, that all went away when she was dethroned of UFC gold by Holly Holm at UFC 193 in November 2015. Holm knocked her out with her infamous head kick. Then, she suffered a 48-second TKO loss to Amanda Nunes at UFC 207 in December 2016.